Today marks eight years since my first ever post on this blog, and every year on this date I write a review of what’s happened to me professionally and what’s gone on in the world of Microsoft BI in the previous year. For me, 2012 has been yet another busy year. The SSAS Tabular book that Marco, Alberto and I wrote – “SQL Server Analysis Services 2012: The BISM Tabular Model” – was published in July and has been selling well, and the balance of my consultancy and training work has started to move away from Multidimensional and MDX towards Tabular, PowerPivot and DAX. It’s always exciting to learn something new and, frankly, the lack of any significant new functionality in Multidimensional and MDX has meant they have got a bit boring for me; at the same time, though, moving out of my comfort zone has been disconcerting. It seems like I’m not the only Microsoft BI professional feeling like this though: the most popular post on my blog by a long chalk was this one on Corporate and Self-Service BI, and judging by the comments it resonated with a lot of people out there. Whether or not Microsoft is neglecting corporate BI (and I’m not convinced it is), it’s definitely making a serious investment in self-service BI. The biggest Microsoft BI release of this year was for me not SQL Server 2012 but Office 2013. That’s not to say that SQL Server 2012 wasn’t a big release for BI, but that Office 2013 was massive because of the amount of functionality that was packed into it and because the functionality was so well executed. You can read this post if you want details on why I think it’s significant, but I’ve really enjoyed playing with Excel 2013, PowerPivot, Power View and Office 365; there’s more cool stuff in form of Mobile BI, GeoFlow and Data Explorer coming next year, all of which are very much part of the Office 2013 story too. No Microsoft BI professional can afford to ignore all this. The other big theme in Microsoft BI this year, and indeed BI as a whole, was Big Data. I reckon that 90% of everything I read about Big Data at the moment is utter b*llocks and as a term it’s at the peak of its hype cycle; Stephen Few has it right when he says it’s essentially a marketing campaign. However, as with any over-hyped technological development there’s something important buried underneath all the white papers, and that’s the increasing use of tools like Hadoop for analysing the very large data sets that traditional BI/database tools can’t handle, and the convergence of the role of business analyst and BI professional in the form of the data scientist. I’m still not convinced that Hadoop and the other tools that currently get lumped in under the Big Data banner will take over the world though: recently, I’ve seen a few posts like this one that suggest that most companies don’t have the expertise necessary for using them. Indeed, Google, the pioneer of MapReduce, felt the need to invent Dremel/BigQuery (which is explicitly referred to as an OLAP tool here and elsewhere) to provide the easy, fast analysis of massive datasets that MapReduce/Hadoop cannot give you. My feeling is that the real future of Big Data lies with tools like Dremel/BigQuery and Apache Drill rather than Hadoop; certainly, when I played with BigQuery it clicked with me in a way that Hadoop/HDInsight didn’t. I hope someone at Microsoft has something similar planned… or maybe this is the market that PDW and Polybase are meant to address? In which case, I wonder if we’ll see a cloud-based PDW at some point? Maybe an obscure problem, this one, but worth recording nonetheless. The other week I was performance tuning some queries on a customer’s SSAS 2008R2 instance and came across a very strange issue related to the presence of unnecessary All Members in tuples. In this case it was in machine-generated MDX but it’s certainly the case the people new to MDX often include All Members in tuples when they are not actually needed; it’s a not good idea to do this because it can sometimes have unexpected effects as a result of attribute overwrite and because, as I found, it can also cause severe performance problems too. With this done, both of the queries above return instantly. As far as I can see, it’s Month() and LCase() that are the new ones on this list, and which were added in 2012 SP1. Still no Log10() function though, alas. Thanks to Akshai and Marius for their help with this. I was chatting to a friend of mine a few days ago, and the conversation turned to Microsoft’s bizarre decision to make two big BI-related announcements (about Mobile BI and GeoFlow) at the Sharepoint Partner Conference and not at PASS the week before. I’d been content to write this off as an anomaly but he put it to me that it was significant: he thought it was yet more evidence that Microsoft is abandoning ‘corporate’ BI and that it is shifting its focus to self-service BI, so that BI is positioned as a feature of Office and not of SQL Server. My first response was that this was a ridiculous idea, and that there was no way Microsoft would do something so eye-poppingly, mind-bogglingly stupid as to abandon corporate BI – after all, there’s a massive, well-established partner and customer community based around these tools. I personally don’t think it would ever happen and I don’t see any evidence of it happening. My friend then reminded me that the Proclarity acquisition was a great example of Microsoft making an eye-poppingly, mind-bogglingly stupid BI-related decision in the past and that it was perfectly capable of making another similar mistake in the future, especially when Office BI and SQL Server BI are fighting over territory. That forced me to come up with some better arguments about why Microsoft should not, and hopefully would not, ever abandon corporate, SQL Server BI in favour of an exclusively Office-BI approach. Some of these might seem blindingly obvious, and it might seem strange that I’m taking the time to even write them down, but conversations like this make me think that the time has come when corporate BI does need to justify its continued existence. From a purely technical point-of-view, while most BI Pros have been convinced that the kind of self-service BI that PowerPivot and Excel 2013 enables is important, it’s never going to be a complete replacement for corporate BI. PowerPivot might be useful in scenarios where power users want to build their own models but the vast majority of users, even very sophisticated users, are not interested in or capable of doing this. 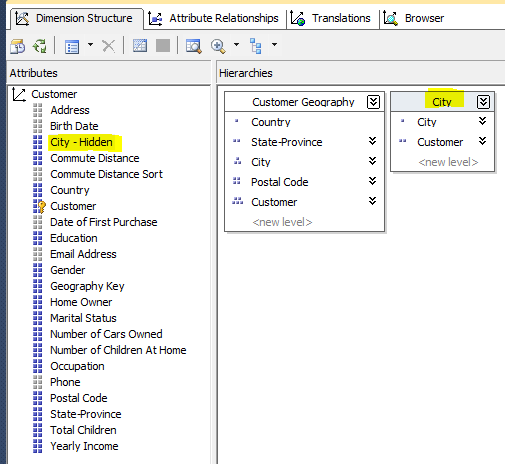 This is where BI Pros and SSAS are still needed: centralised models (whether built in SSAS Tabular or Multidimensional) give users the ability to run ad hoc queries and build their own reports without needing to know how to model the data they use. Even when self-service BI tools are used it’s widely accepted (even by Rob Collie) that you’ll only get good results if you have clean, well-modelled data – and that usually means some kind of data warehouse. Building a data warehouse is something that you need BI Pros for, and BI Pros need corporate BI tools like SSIS to do this. Self-service BI isn’t about power users working in isolation, it’s really about power users working more closely with BI Pros and sharing some of their workload. Despite all the excitement around data visualisation and self-service, the majority of BI work is still about running scheduled, web-based or printed reports and sending them out to a large user base who don’t have the time or know-how to query an SSAS cube via a PivotTable, let alone build a PowerPivot model. Microsoft talks about bringing BI to the masses – well, this is what the masses want for their BI most of the time, however unsexy it might seem. This is of course what SSRS is great for and this is why SSRS is by far the most widely used of Microsoft’s corporate BI tools; you just can’t do the same things with Excel and Sharepoint yet. Apart from the technical arguments about why corporate BI tools are still important, there’s another reason why Microsoft needs BI Pros: we’re their sales force. One of the ways in which Microsoft is completely different from most other technology companies is that it doesn’t have a large sales force of its own, and instead relies on partners to do its selling and implementation for it. To a certain extent Microsoft software sells itself and gets implemented by internal IT departments, but in a lot of cases, especially with BI, it still needs to be actively ‘sold’ to customers. The BI Partner community have, for the last ten years or so, been making a very good living out of selling and implementing Microsoft’s corporate BI tools but I don’t think they could make a similar amount of money from purely self-service BI projects. This is because selling and installing Office in general and Sharepoint in particular is something that BI partners don’t always have expertise in (there’s a whole different partner community for that), and if self-service BI is all about letting the power users do everything themselves then where is the opportunity to sell lots of consultancy and SQL Server licenses? If partners can’t make money doing this from Microsoft software they might instead turn to other BI vendors; I’ve seen some evidence of this happening recently. And then there’ll be nobody to tell the Microsoft BI story to customers, however compelling it might be. These are just a few of the possible reasons why corporate BI is still necessary; I know there are many others and I’d be interested to hear what you have to say on the matter by leaving a comment. As I said, I think it’s important to rehearse these arguments to counter the impression that some people clearly have about Microsoft’s direction. To be clear, I’m not saying that it should be an either/or choice between self-service/Office BI and corporate/SQL Server BI, I’m saying that both are important and necessary and both should and will get an equal share of Microsoft’s attention. Neither am I saying that I think Microsoft is abandoning corporate BI – it isn’t, in my opinion. I’m on record as being very excited about the new developments in Office 2013 and self-service but that doesn’t mean I’m anti-corporate BI, far from it – corporate BI is where I make my living, and if SSAS died I very much doubt I could make a living from PowerPivot or Excel instead. Probably the main reason I’m excited about Office 2013 is that it finally seems like we have a front-end story that’s as good as our back-end, corporate BI story, and the front-end has been the main weakness of Microsoft BI for much too long. If Microsoft went too far in the direction of self-service we would end up with the opposite problem: a great front-end and neglected corporate BI tools. I’m sure that won’t be the case though. The PASS Business Analytics Conference is not the PASS Business Intelligence Conference! Since I think this conference is a Very Good Thing, and because I’ve been asked to help shape the agenda in an advisory capacity, I thought I’d do a little bit of promotion for it here. The important thing I’d like to point out is that this is not just a SQL Server BI conference: it covers the whole SQL Server BI stack, certainly, but really it aims to cover any Microsoft technology that can be used for any kind of business analytics. Which other technologies actually get covered depends a lot of who submits sessions but there are no end of possibilities if you think about it. I’d love to see sessions on topics such as F#, Cloud Numerics, Sharepoint, NodeXL, GeoFlow and especially non-BI Excel topics such as array formulas, Solver and techniques like Monte Carlo simulation, for example.